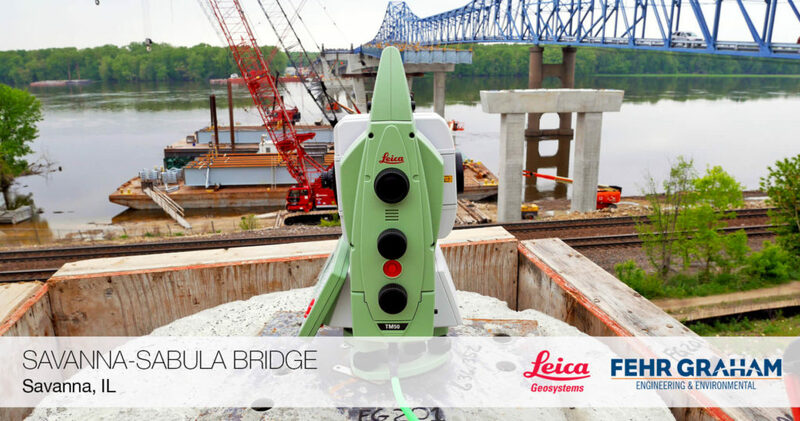 Engineers at Fehr-Graham precisely track position of the Savanna-Sabula bridge during construction of a replacement bridge adjacent to the current alignment. sensemetrics software aggregates data from two (2) Leica Geosystems Automated Motorized Total Stations (AMTS) and calculates deltas from pre-calculated station coordinates, in real time. This allows construction crews to precisely place structural member placement per engineer’s specifications – and subsequently verify that placement doesn’t deviate. This optimized approach to structural placement is consistent with Fehr Graham’s mission to optimize construction through efficient use of technology. sensemetrics CLOUD connected THREAD devices, automate data collection from Leica TM50 instruments and stream real-time positions and analytics to field crews on their mobile devices. Simultaneously, the sensemetrics CLOUD platform allows management the same view on project data, for oversight from remote offices – providing a simple and seamless workflow throughout each critical operation.